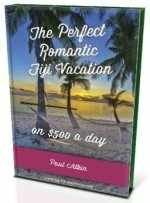 Paradise Taveuni Resort Fiji - Bring the family! 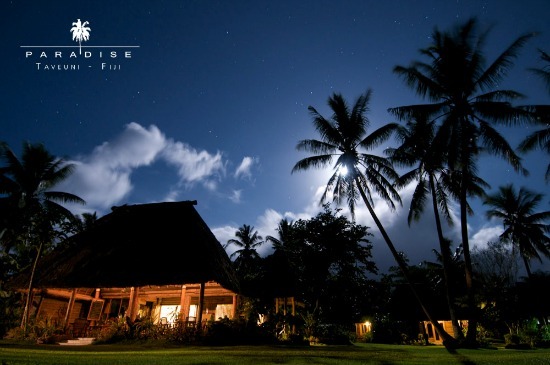 Want a remote location with world class Fiji scuba diving for the family? 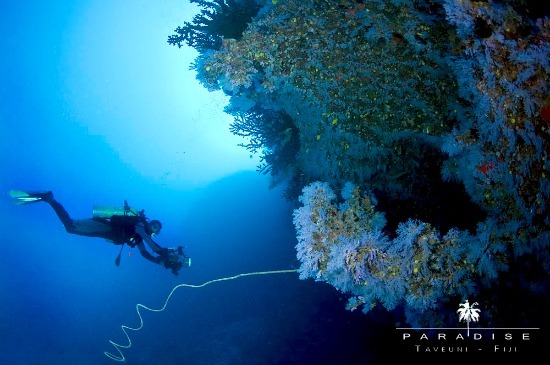 Discover beautiful Paradise Taveuni, great for natural wonders on land and under the water! 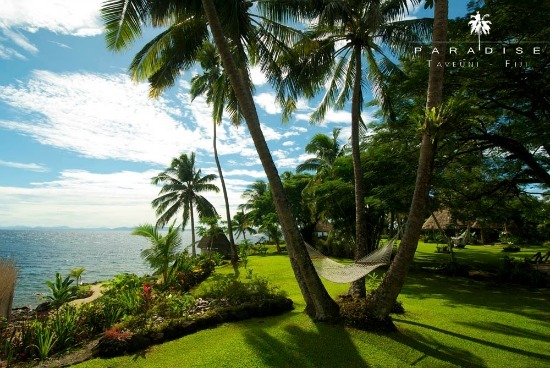 - Who does Paradise Taveuni suit? 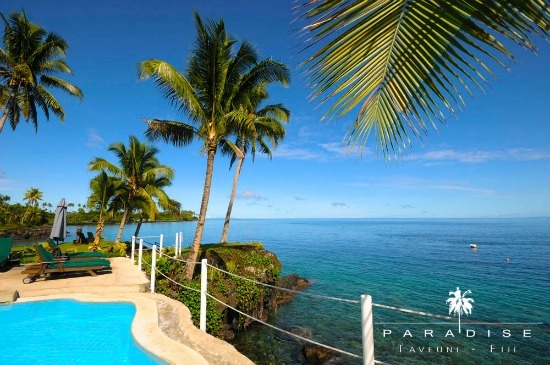 Who does Paradise Taveuni suit? 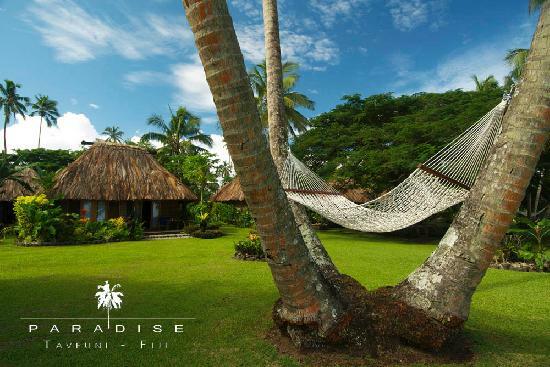 Paradise Taveuni suits anyone, including families, who what a remote, natural relaxing getaway. 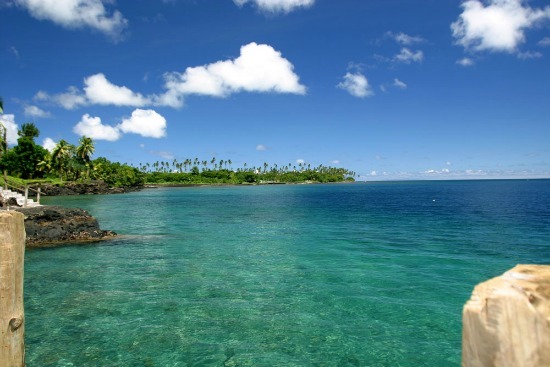 Especially suited for those interested in diving and exploring the wild island of Taveuni. 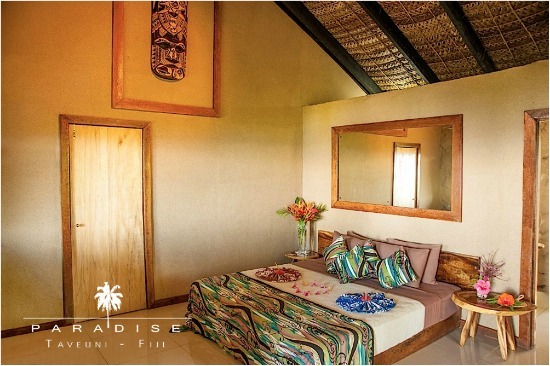 With the completion of our new Oceanfront Air Conditioned Vales, Paradise now offers 17 accommodation choices. These include the brand new Vales, the Tropical Bures, and the Oceanfront Bures. The Tropical and Oceanfront Bures offer you a private bedroom with a generous king bed and swinging French doors, opening to your sundeck with a Fijian Day Bed, perfect for reading a book or relaxing in the sun. The spacious lounge room has a mini bar, refrigerator, tea and coffee making facilities, as well as comfortable lounge furniture. The modern bathroom is tropically designed with a inside bath and shower, bath products, hair dryer, cupboards, and a electronic safe. 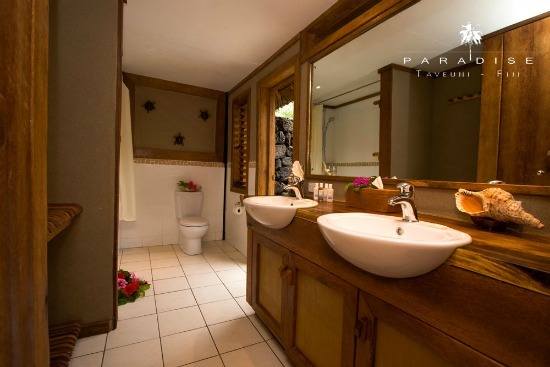 The outdoor shower and Jacuzzi in the private lush garden is a Fiji and come standard as a part of every Bure in Paradise. All Bures are fan cooled. The new Oceanfront Air Conditioned Vale Lomanis, Similar in design as the resort Bures, offer you a large bedroom and generous king bed, mini bar, refrigerator, tea or coffee making facilities, wardrobe, and a comfortable lounge area. Perfect for Singles or Couples alike, the Vales have a modern bathroom that is tropically designed with a inside shower, bath products, and hair dryer. 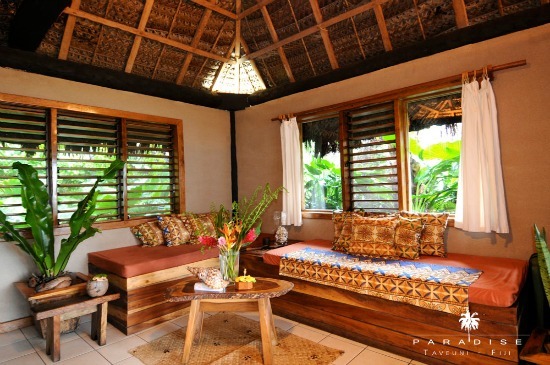 The outdoor shower and Jacuzzi in the private lush garden is a Fiji essential. All Oceanfront Vales are air conditioned and fan cooled. While in Paradise, you will enjoy a large selection of Fijian delicacies, local organic produce and a selection of international delights. The resort owner, Allan is the international chef and overseas the kitchen operations. 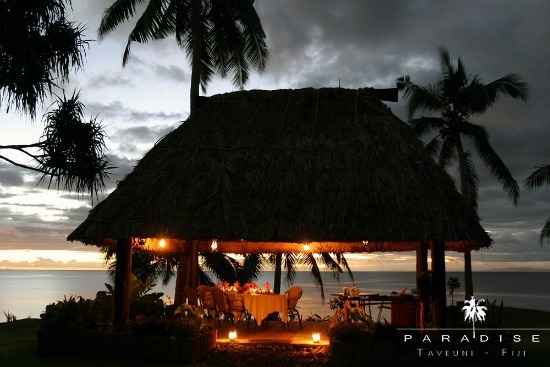 Paradise Taveuni are more than happy to cater for any special dietary requirements. As well as the enticing menus changing daily, there are vegetarian and gluten free options on each menu. Paradise offers a number of activities to our guests on a daily basis. 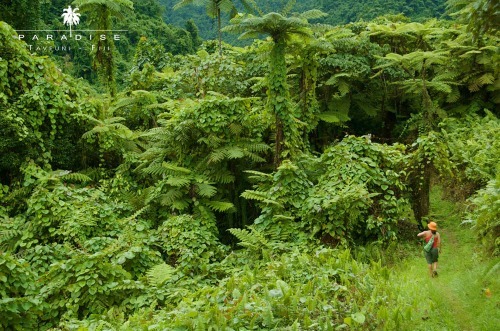 If you are looking at doing something besides Scuba Diving or relaxing, don’t worry, Paradise and Taveuni are full of adventures all around. If you’re a thrill seeker why not try Wild Boar Hunting or jumping off waterfalls with some of the purest water in the world, Taveuni has it all. Looking at something a little more slow paced? 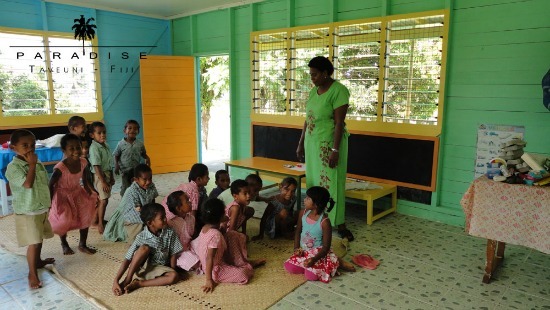 Try various activities from guided tours to frond weaving and lessons in speaking Fijian! Don’t forget snorkeling right outside the warm waters of Paradise! 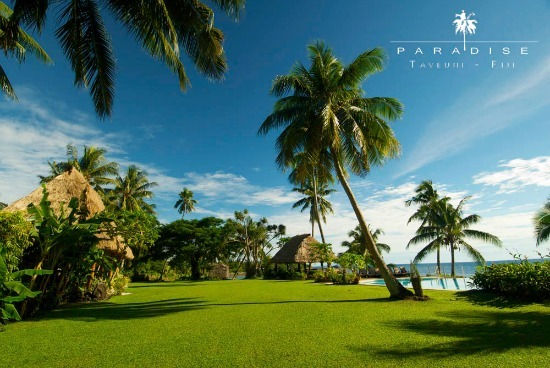 Paradise Taveuni is the only resort on the island offering diving on pristine Vuna Reef and legendary Rainbow Reef. 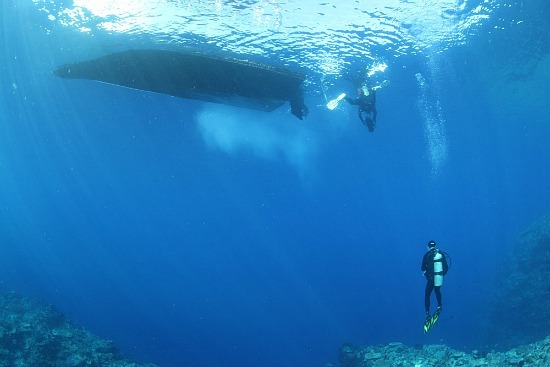 With over 40 dive sites to offer, you won’t visit the same site twice, unless you want to. 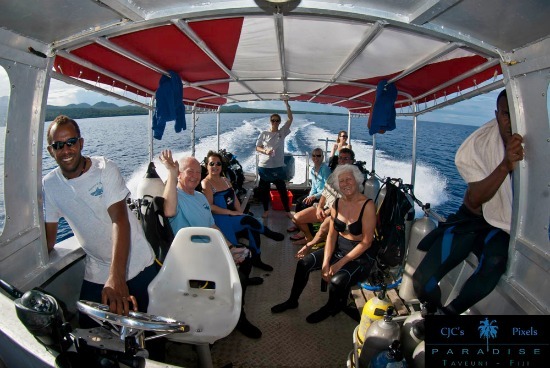 Every day, divers from all over the world choose Paradise Taveuni to experience the extraordinary formations of hard and soft corals and an abundance of fish life including: Anemone fish, Maori Wrasse, Lionfish, Reef Sharks, Rays, Turtles and much, much more. 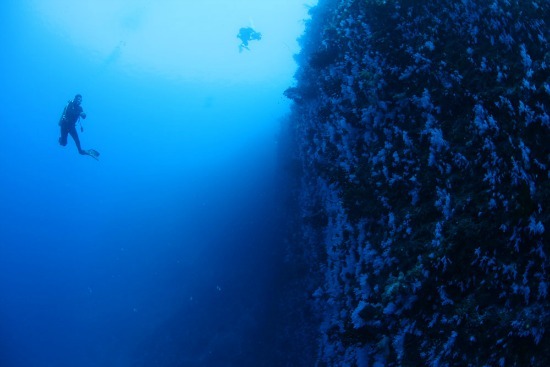 With a variety of deep wall drop off’s and shallow drift dives, there is something here for every diver. Pamper yourself in Paradise! Release tension and rejuvenate your mind, body, and soul. The healing properties of touch combined with local Fijian techniques will ease stress and relax the body. Paradise uses local organic virgin coconut oils with essential iolds added and Pure Fiji products to nourish and feed your skin. Their Spa therapists are trained in Swedish Massage and offer a selection of relaxation and remedial massage designed to suit everyone. Paradise Taveuni is on the 3rd biggest island in Fiji, Taveuni Island, as is situated just north of Vuna Point at the the southern end of the island. 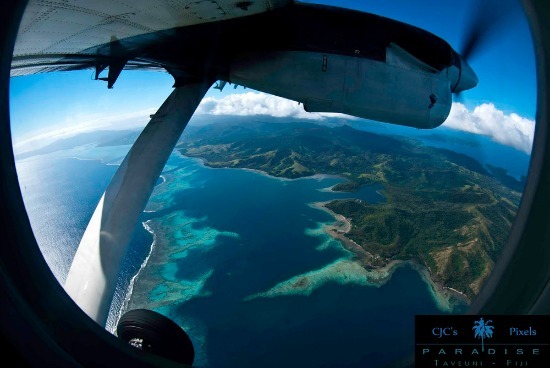 Firstly, you need an international flight from you home country to Nadi International Airport in Fiji. Then, you need to organise a domestic flight to Matei Airport on Taveun Island. The land transfer to the resort is included in the rates. Contact our reservation and enquiries team for reservations or for more information to secure your place in paradise!